Nokia N9 Release Date - 23rd September? The Nokia N9, announced just a couple of months ago, was received well on the internet. Though the same reaction was seen with the ill-fated N900, something about the N9 feels different. One tangible difference might have appeared today, in that, unlike the N900, the N9 will suffer no delays following announcement. 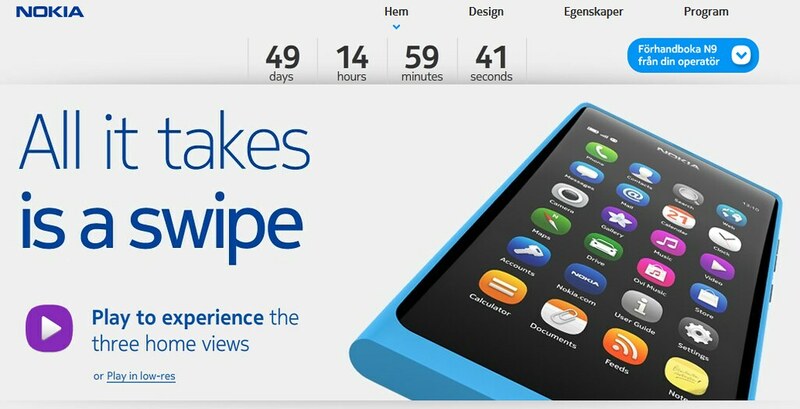 NokiaGadgets have found that Nokia's Swedish Swipe website has started a 50-day countdown, suggesting a release on the 23rd of September. There's no such countdown on Nokia's UK website, but I'd expect for more global details to appear soon.